Well run and organizedsubmitted by Nicholas I. - Apr 09, 2019 |Recommended: YesIt's a nice little community made up of people of all ages. Management and workers are friendly and organized, and provide a positive living environment. Great first apartmentsubmitted by Marley G. - Mar 25, 2019 |Recommended: YesThe one bedrooms are nicely sized, the space is clean, it's nice being near the pool and having a view of the lake, there is always available parking spots, noises from other apartments are rarely heard and easily drowned out by the tv or fans. The only issue' is that the construction of the renovated apartment seemed kind of rushed. There are a ton of weird imperfections and there are too many light switches that are ONLY connected to outlets. The wall between the living room and kitchen has a definite bend and the cabinets and floors are lopsided. It doesn't affect the quality of livability though. Clean well kept property.submitted by Devan A. - Feb 27, 2019 |Recommended: YesAPT itself has very quick and grotesque paint job done prior to move in doors hard to shut and open, and the base flooring is uneven and creaky. But the carpeting is nice, and the apartment itself is spacious. Maintenance is very kind and quick when a request is put in. Overall this complex is well kept and managed well, just a few mix-ups on signing related to the office providing the wrong APT to apply for, but it worked out well in the end. So far, I like it.submitted by Kelli D. - Feb 26, 2019 |Recommended: YesQuiet and accommodating. Cozy Apartmentsubmitted by Christopher G. - Dec 26, 2018 |Recommended: YesThis one bedroom apartment is in a nice quiet area. However, you can definitely hear your neighbor walking around if you have a ground floor unit. We love all our neighborssubmitted by Rebecca M. - Aug 23, 2018 |Recommended: NoI enjoy living here minus one of the ladies in the main office, she is just not very friendly. I almost would not recommend someone to live here because of how unfriendly she is. Many people who live here feel the same way about her. It's a shame. I am uncomfortable every time she comes around. We pay a lot of money to live here and it feels very restricted. Good property and apartment layouts. Spacious.submitted by Taylor P. - Aug 07, 2018 |Recommended: NoI personally think my rent is extremely high for a one bedroom. Apparently there is sales and deals that run all the time so I would tell someone who is interested in these apartments to wait for that. My neighbor has a 1 bedroom just like I do, and applied when there was a deal running so there was no security deposit they had to pay, and there rent monthly is 200 cheaper a month. Nice Areasubmitted by Jennifer L. - Jul 19, 2018 |Recommended: YesNice apartments, nice area. Nice location and peaceful back yard submitted by Karl M. - Jun 13, 2018 |Recommended: YesNice complex for an older building. Surrounding tennents can be quite loud at times, primarily the new group living upstairs. All hours thumping, doors slamming, and dog barking to go out. We work nights so its tough sleeping during the day sometimes but the layout and safety we feel help make up for that. As prices rise we'd appreciate updates to older units like ours to take place to continue to compete with other complexes. Overall nice quality place to livesubmitted by Stephanie W. - Jun 08, 2018 |Recommended: YesApartment complex has plenty of spaces for parking. Staff in apartment office are always nice, but they could be more responsive when someone called or emailed them regarding questions, as when we have tried to call email them several times, we don't get a response back most times. Maintenance is always very polite, helpful and responsive. Neighborhood is quiet and friendly, which makes it a nice place to live. Overall, our time spent living here has been great.  Fantastic propertysubmitted by Jamie W. - Jun 05, 2018 |Recommended: YesLiving at Holly Court is truly an amazing experience. The office staff are fantastic and the location can not be beat A beautiful lake is feet away and a beautiful walking path is situated behind the property. Other tenants of the property are friendly and parking is extremely convenient.